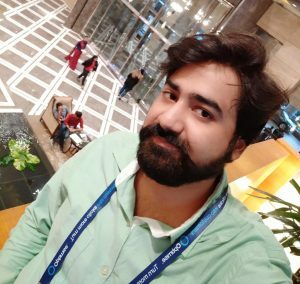 Hello friends, Today I will tell you a method to delete all Facebook messages at once from your Android or PC/Laptops. 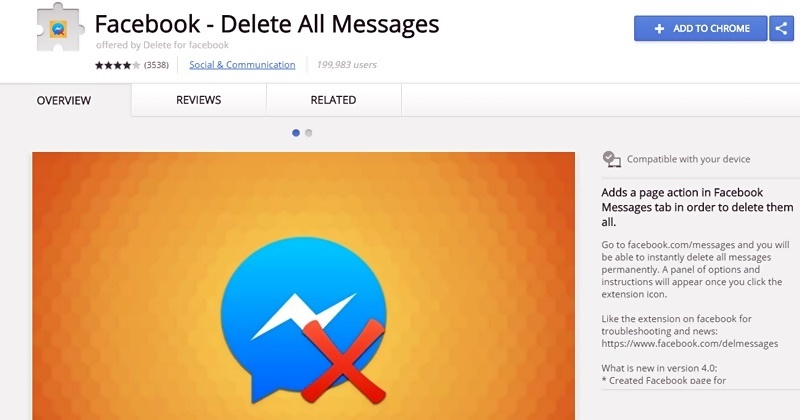 You can download these extensions to delete all Facebook messages at once. This trick will let you remove all the messages from Facebook Messenger at once. Facebook is the most popular social networking website, as it leads to the top of the ranking on social networking sites. While talking about Deletion of All Facebook Messages at once. There is no option which has been offered by Facebook. So, I’m here going to tell you the simple and best way to Delete Facebook Messages At Once. 0.1 What is Facebook Messenger? Facebook Messenger is an Android app which is offered by Facebook. In Facebook Messenger, users can only view their chats or messages, and it also provides some additional features which are not available on the Facebook’s website such as Shared Photos, Nickname Changing Feature, Chat Colour Changing Feature, Emoji Changing Feature, Secret Conversations, Bot’s Chating or Conversations, and much more. You can find and download Facebook Messenger app from Google Play Store and also from Facebook Website. Are you fed of deleting messages from your Facebook one by one? Don’t worry; I will tell you two ways to delete all Facebook messages at once. I have share two Google Chrome extension below. These extensions will allow users to delete all the Facebook messages at once. Facebook Delete All Messages is a Google Chrome Extension which will allow you to Delete All Facebook Messages At Once. If you delete Facebook Message without Facebook Delete All Messages Extension then, you have to remove every message separately one by one which will eat much time as compared to Facebook Delete All Messages Extension. Let us see, how we can eliminate all Facebook messages at once without wasting our time and without separately deleting them by one by one. See steps. Now, login to your Facebook account whose conversations you wants to remove. Open your Facebook inbox where all the conversations with your friends or relatives are mentioned. After performing above steps, click on the Right Side of your Browser and click on Facebook Delete All Messages Extension. It will now give you the instructions to proceed further. After getting instructions, click on Begin Deletion and a popup box will appear on your screen to confirm it. Just, click on OK.
That’s it. Now, your all Facebook messages will be deleted within some seconds. At first, Download and install the extension [LINK]. Log in to Facebook account. Click on the extension icon from the Right side of the browser. A popup box will appear, click OK to confirm. That’s it. All Facebook messages have been successfully deleted. So, this was the tutorial about “How To Delete All Facebook Messages At Once On PC/Android.” By following above steps, you will be able to remove Facebook messages once without wasting time. If you face any problem regarding this trick. Then, do comment below and don’t forget to share this article with your friends.